waterdamagerepairsanfrancisco.comBlogMoldWhat Diseases are Caused by Mold? 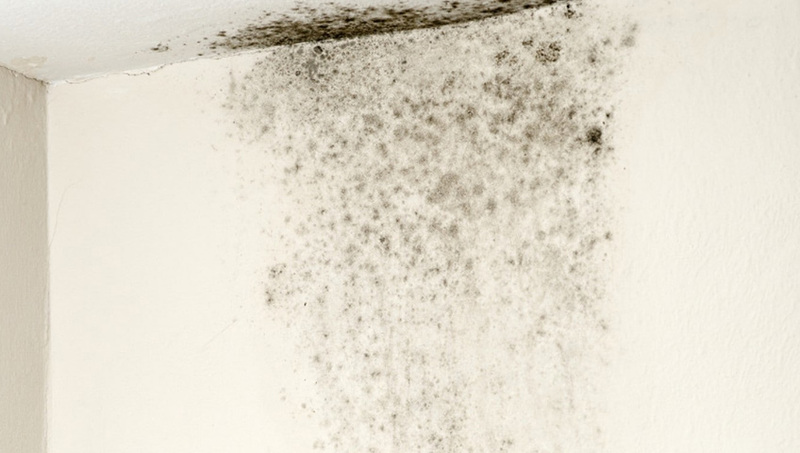 What Diseases are Caused by Mold? Allergy to mold is the pathological reaction of the immune system to contact with fungal microorganisms. Allergenic substances can enter the body with food or through the respiratory system. As this type of allergy becomes very common, it is very important to consult a doctor in time to make an accurate diagnosis. Allergy to fungal mold is usually combined with other allergic pathologies – most often they include reactions to house dust mites or pollen of plants. The provoking factors may be the following: genetic predisposition; permanent presence in rooms with high humidity; contact with leafy foliage or moist soil; weakening of the immune system; presence of other allergic diseases. Also, reactions to mold often occur in people who, due to their professional duties, are constantly in contact with fungal microorganisms. These include people who are engaged in agricultural work or conduct laboratory research. The reaction to mold is usually manifested in the form of disruption of the work of various systems and organs. Making an accurate diagnosis can be quite difficult, because people respond to the same fungus in different ways. If the spores get into the respiratory system, there may appear such signs: a runny nose with the allocation of a large amount of fluid; cough that persists for a long time; constant sneezing; a burning sensation in the nose; wheezing; congestion in the thorax; choking is the most dangerous situation, in which there is swelling of the mucous membrane of the respiratory system. If mold enters the human body with food, it has the following symptoms: pain in the abdomen; rash on the skin; nausea and vomiting; swelling and burning in the mouth. At occurrence of such signs the doctor should spend detailed diagnostics which will help to distinguish allergic reaction from a poisoning, after all the scheme of treatment of these diseases essentially differs. As a result of contact of the human skin with mold, the following symptoms may appear: redness of the skin; severe itching; rashes; minor swelling of the local nature. Many patients after contact with mold complain of itching in the eyes. In people suffering from bronchial asthma, contact with molds can provoke an exacerbation of the attack. It can be difficult to make an accurate diagnosis, because it is often difficult to identify a specific allergen. To detect pathology, the doctor can prescribe such studies: a blood test. This is not a very informative method, but it allows us to determine that the cause of the ailment is precisely allergy. With this disease in the blood, the content of immunoglobulin E increases – it is this substance that is responsible for the immune reaction to foreign substances; analysis of the symptoms of the disease. A specialist in this situation will be interested in the time of appearance of the signs of the disease and the conditions in which it most often appears. Also, the doctor will ask questions about the conditions of residence and place of work. To determine the causes of allergies, you need to conduct special tests. For this, several scratches are performed on the skin and a solution containing the allergen is applied to them. If this area turns red, then we can talk about the presence of an allergic reaction to this substance. Also, allergens can be injected into the patient’s body in the form of injections. The tactics of treating the mold allergy consists in cleaning the room of fungal spores. To identify the sources of mold, you need to carefully inspect the rooms with high humidity – kitchen, bathroom, attic and cellar. Treatment of allergic reactions to molds is carried out according to the general scheme: with nasal congestion it should be regularly washed with salt solutions; if the disease is more severe, the use of antihistamines or hormones is indicated; to develop immunity, the allergen in a small amount is administered to the patient. This method was called the allergen-specific immunotherapy. Use modern vacuums for cleaning. People who have been diagnosed as allergic to mold in the apartment should buy a moisture meter and keep this figure under control. It should not exceed 60%, but it should not be allowed to reduce it to less than 40%. It is very important to clean the air filters in a timely manner. Do not use the humidifier constantly. It is often necessary to ventilate the rooms in which you are located. If there are leaks in the apartment, they should be immediately eliminated and controlled so that mold does not arise in these places. An excellent place for reproduction of mold fungi is home plants. People prone to allergies should not keep many flowers in the house. It is also very important to avoid excessive moistening of the soil. In the bathroom you need every time after a shower, wipe the walls or ventilate the room. Mattresses and pillows should have protective covers. Also, people prone to allergies, it is recommended to be fewer in the forest in spring and autumn. During this period, a fairly high humidity is observed, and on the ground there is an excellent environment for the active reproduction of mold fungi.